Paul Kaseburg, Chief Investment Officer at MG Properties, joined us on the podcast to answer the most common questions that real estate investors have. Paul joined MG Properties Group in 2010 and is responsible for the firm’s acquisition, disposition, and capital markets activities. At MG, he has been involved with the purchase of approximately 12,000 units totaling $1.7 billion in total consideration. Paul has 17 years of experience in real estate private equity investment, capital markets, and corporate M&A. Prior to joining MG, he held various roles in commercial real estate debt and equity acquisitions, development, and financing. He has a background in corporate M&A and venture capital investing at Northrop Grumman (NOC). 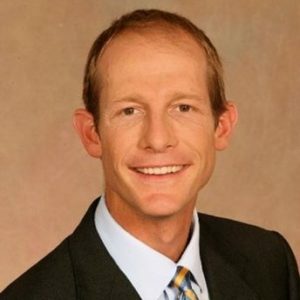 Paul holds a Bachelor of Science degree in Mechanical Engineering from the University of Notre Dame, and an MBA in Finance and Entrepreneurship from the UCLA Anderson School of Management. RealCrowd – All opinions expressed by Adam, Tyler and podcast guests are solely their own opinions and do not reflect the opinion of RealCrowd. This podcast is for informational purposes only and should not be relied upon as a basis for investment decisions. To gain a better understanding of the risks associated with commercial real estate investing please consult your advisors. Tyler Stewart – Hey listeners, Tyler here, before we start today’s episode I wanted to quickly remind you to head to realcrowduniversity.com to enroll into our free six-week course on the fundamentals behind commercial real estate investing. That’s realcrowduniversity.com, thanks. Adam Hooper – Tyler, I’m pretty well and I’m excited to get into this back-to-back episode. Adam Hooper – With our friends over at the White Coat Investor. Tyler Stewart – Yes, absolutely. For this episode we brought on Paul Kaseburg to answer the most common questions that real estate investors have. Adam Hooper – He’s back again, so we teamed up with the folks at White Coat Investor and they were nice enough to send out a survey to all of their members on the forums to again, kind of hit those top questions and we thought who better to answer those than our friend of the podcast here, Paul Kaseburg. Tyler Stewart – Our good friend, Paul. We covered a broad range of topics. Adam, what were some of your favorite things we dove into? Adam Hooper – First we started with just a kind of rehash of where it’s been since we last talked with Paul. Talked a lot about the diligence, you know how much time you can expect to dedicate to reviewing a deal then kind of once you get into it. He talked about some of the risks and some of the differences of on your own, or investing as a limited partner in these deals and a pretty good, kind of top-to-bottom coverage of what we’re seeing. Tyler Stewart – It’s a good mix and it’s always fun to have listeners send us their questions so we can deliver the information you’re really looking for. Adam Hooper – As we always say too if you have any comments or questions please do send us a note to podcast@realcrowd.com and we’ll be sure to get those questions on future shows. Before we get to Paul, one thing that I thought was my biggest takeaway from the episode was something you kind of slid in there which was investing is about maximizing happiness. Just the concept of that’s why we do this, right? Adam Hooper – We invest so that we can enjoy things and have our money working for us, I thought that was a pretty nice little bow to head into the holidays of investing for happiness. Adam Hooper – There we go. Well I think that’s enough of us, with that lets get to it. RealCrowd – This podcast is brought to you by RealCrowd, the leader in online real estate investing. Visit realcrowd.com to learn more about how provide our members with direct access to commercial real estate investments. Don’t forget to subscribe to the podcast on iTunes, GoogleMusic or SoundCloud. RealCrowd, invest smartly. Adam Hooper – Well Paul, thanks for joining us again for another episode here on the podcast. We’ve got another exciting show today as a followup to the episode we just released with Jim from over at White Coat Investors. Why don’t we start with a little bit of an update. We talking before we were recording heading into, closing out 2018, how are things looking on your perspective for the overall real estate world? Paul Kaseburg – Thanks for having me, great to be back and it has been, we were talking about real briefly, but I’d say it’s been just kind of an unusual year for the market. I don’t know what it’s a sign of but we’ve seen a lot of choppy volume. The first half of the year was very thin, in terms of offerings at market. Interest rates were up a little bit at the end of the year, I think that kind of slowed people down going into the first half. So there just wasn’t much on the market and everything that was out there was being really aggressively bid up. We struggled to find deals and then in the middle of the year all of a sudden I think a lot of folks looked at those prices and said, they were ready to transact and so they put their property on the market and there was a flood of deals that hit in the summertime and that continued kind of into the end of the year now. Usually you get a little bit of a slow down in the first half and it’s a little quicker toward the end of the year but I think this year is just exacerbated a little and we’re really seeing a flood of deals for the end of the year. We’ve been kind of on both sides of that and we’ve been pretty active sellers and buyers. We syndicate our deals as single transactions, not a fund we’re exchanging and so we’ve sold seven properties this year. We’ve closed so far on six acquisitions this year you know that we exchanged into. We have a couple more that are in the hopper for the end of the year. It’s painful on one side and great on the other. It just kind of is what it is right now. Paul Kaseburg – It’s a little unusual. It’s been awhile since we’ve had brokers call us back and say the deal didn’t transact the first time or the second time or they weren’t getting the interest that they wanted. But we’re starting to get some of that and you know it’s a sign of normalization of the market, I think as opposed to maybe last year which was just really aggressive all year. Adam Hooper – Do you think that’s a function of, like you said earlier, interest rates, prices got bid up and then all of a sudden people think I better sell and take advantage of this pricing. Do you see that continuing, do you think it’s coming back to a slight correction, how do you see I guess going into early 2019, hard to tell obviously but we always ask you to crystal ball on the show? Maybe, how do you see that playing out? Paul Kaseburg – There are a couple things going on that drove it. The interest rates were definitely one. There’s some dynamics with new development that are starting to impact the market so what we’re seeing is there are a lot of shiny new properties that are being developed in great locations, predominantly, and so those are starting to result in some rent flattening for that new product, or stabilize deals. There’s been a lot of money raised for the value-add story and as a result what we’ve seen is a lot less demand for that new, clean product because those rents are starting to flatten and more demand for value-add deals to the point where it’s compressing the values together to the point where it doesn’t really make sense to watch it so we have tended to be sellers of older 70s and 80s deals and buyers of newer properties, 90s or newer. We just feel like there’s a little bit of an opportunity in the market that way, it’s a bit of a distortion. A week ago we closed on an acquisition here in North San Diego that was 140 million dollar, newly built deal, it just hit 90% lease and we were at the same time selling and 80s vintage deal that was just about five minutes away. The basis on those two were very, very similar, especially by the time you take into account the value-add money that was being put into the deal we were selling and so we just looked at that and said, it’s just this dynamic doesn’t make sense and so we’re kind of a seller of the value-add and a buyer of the stabilized, in general. Paul Kaseburg – We still find some deals in both but I think that’s kind of the market trend that we’re seeing right now. Adam Hooper – That’s not necessarily a full shift of your strategy but that’s just something that you guys have identified based off of the economic difference between more value-add if you can get similar returns with a newer, vintage product you might as well trade into the newer product versus hanging onto the value-add strategy then? Paul Kaseburg – Right. We’re all about finding the best risk-adjusted returns and where we feel like the risk is materially lower not having to execute on that value-add strategy and not having to get the capex risk of those deals, just buying a new, clean deal on a basis that we feel comfortable with in the current environment. That’s been kind of the shift and we’ve played both of those so it’s just a matter of triangulating those based on the market. In California the other thing that’s going on that I think is material is Prop 10. Paul Kaseburg – and kind of preparing their own rent-control initiatives too, and obviously with the growth in rents over the last couple of years it’s a big topic and that’s actually impacted the market in California somewhat. Adam Hooper – Are you guys looking at new markets, geographically, or are you still sticking true to where you guys are active right now? Paul Kaseburg – We’re still in our normal markets, so we’re Washington, Oregon, California, Arizona, Nevada. And we’ve been looking to enter, potentially, Salt Lake and Denver, but for the moment we’re just sticking to our markets and especially at this point in the cycle we want to be real careful about focusing where we have operating operating efficiencies, focusing where we have relationships. We’re just kind of digging into the markets that we know best. Adam Hooper – Great, that’s all really good information, Paul. We appreciate the update on current markets, so what we want to do with this episode as I said the last one with Jim from White Coat Investor, he was kind enough to go poll users on that forum and ask what their top real estate questions were. We wanted to dig into those, we’ve got a list of questions here for you. Again we really appreciate you taking the time to come through and answer these for us. If you’re good we’ll just kind of dig in the questions and go through and hopefully answer some of the most pressing issues out there for that community? Does that sound good? Paul Kaseburg – Sounds great, lets do it. Adam Hooper – Perfect, we’ll start at the top, first question I think ultra relevant, if I don’t invest in real estate and my investments are stocks and bonds am I missing out by not investing in real estate? Is the extra hassle worth it? Paul Kaseburg – oh here’s a deal that my friend sent me and should I put my money in it? Adam Hooper – Coming to it with a more thought out strategy versus reacting to the first opportunity that’s presented to you, basically. Paul Kaseburg – Absolutely and the other things to take into account are the tax advantages of investing commercial real estate. You know with 1031s and depreciation and allocation there are some real benefits to real estate investments that you don’t get through stocks and bonds. It’s important to think through those in the context of your whole portfolio too. This is definitely something that you wouldn’t want to make a decision on without your financial advisor. Adam Hooper – Yeah, second part of the question is the extra hassle worth it? That depends you know whether you’re talking about exposure to REITs which is likely not much more hassle that what you’re doing with your existing portfolio all the way to investing as an LP all the way to owning your own property outright so maybe kind of walk through the different levels of involvement I guess from an investors perspective along that spectrum? Paul Kaseburg – Sure. Like you said investing in a REIT is as just going on your normal brokerage platform and clicking your mouse and all of a sudden you have more of an allocation to real estate. In fact if you own a broadly diversified mutual fund or exchange rate fund you may have an allocation to real estate already built in, so it’s worth looking at that and there’s some good tools out there like Morningstar that can help you break down your ownership and your allocation to different areas. Now that’s easy, REITs are, they don’t have the tax benefits that some private real estate investment has and also one of the benefits of private equity real estate is the illiquidity premium. When assets are illiquid, they’re hard to buy and sell, there’s a unique market for them. They tend to have higher returns just because the barriers to entry to those are higher. In an ideal world and the research shows this, overtime the illiquid assets can generate better risk adjusted returns, but of course they’re harder to evaluate and they require more effort to go and look at. The types of deals we’re talking about here are private equity fund, where you would commit to a fund and your investment would be drawn down overtime as transactions are just in that fund. Or it could be a single deal that’s syndicated by a general partner or a managing member and you would put your money into that deal and you would evaluate properties on a deal-by-deal basis or you could go out and just buy properties directly and manage the real estate yourself. Paul Kaseburg – I tend to be of the opinion if you are not looking for another full-time job you probably shouldn’t go out and buy properties directly because it’s surprisingly time consuming. If you enjoy it and you’re really looking for something to do with your spare time perhaps it’s for you, but if you’re just looking for an allocation to real estate for your portfolio it may not be the best use of time. Adam Hooper – That was one of the further questions that was on the list here too is, if you’re involved in real estate investing outside of mutual funds, how many hours are you dedicating a week to looking at deal flow, getting the sponsor’s diligence, et cetera, maybe again take a minute from the most extreme side of that would be you know buying your own deals and for purposes of our conversation today, the other end of that would be to begin investing as an LP in a syndicated deal or a fund. Can you maybe contrast the time commitments in terms of how much someone would expect to spend, like you say you could spend a full-time job trying to find your own deals if you’re going to manage them. Comparing to what might be a reasonable expectation if you’re going to be coming on a platform like ours or others out there or from direct sources that you might have contact too if you’re going to be investing as an LP in somebody else’s real estate deal. Paul Kaseburg – and that is when you go out and buy property directly it tends to be a one-off transaction, right. You’re not transacting frequently enough, most people to have relationships with other sellers, to have relationships with the brokers, et cetera. Groups that are out there and doing this full time are transacting non stop and they have those relationships so when you invest with them you’re buying, number one those relationships and that kind of last look at the deal so you get a better price, you’re buying the experience those groups have evaluating deals and finding the best deals that are out there because in our space we’re underwriting all of the deals that generally fit our criteria and then when we get down to that small subset that are the very best. We have this kind of long track record that helps us evaluate deals, so you definitely buy that, you buy a platform that’s efficient at managing real estate because it’s a lot easier to manage 20,000 units or apartments than it is to manage 20. That’s definitely something to take into account. You buy all those things when you invest with a partner and obviously the cost of that is you pay them some fees and hopefully that ends up being a win-win for everyone. Adam Hooper – Especially for this audience, high-income earners, they’re busy, right? Maybe once you get to that retirement stage that’s a little different picture, but it’s allocation of time is such a precious resource to be able to leverage what people they’re full-time day job, day-in, day-out, is to manage and operate and find those opportunities. That probably could make more sense than trying to again staff up your own operations for one or two deals as a full-time income earner. Paul Kaseburg – Absolutely and I love my job. I think real estate is totally fascinating and of course a lot of people do, it’s a really just kind of interesting thing to work on. But the benefit is that’s what I do all day so I don’t have another job I have to worry about at the same time. So I count myself lucky but you know it’s just worth thinking about for yourself as an investor, what you’re trying to get. Tyler Stewart – As an investor looking to efficiently go through a deal, what do you recommend? Talking with a sponsor first, reading the PPM first, how should they organize their due diligence? Paul Kaseburg – which will go through all of the economics of that specific deal, risks of that deal, the details of the investment strategy, financial projections, all that in one handy, fairly boring packet. Then you’ll get an LPA, if it’s a partnership, so you’ll actually see the mechanics of that partnership and how that’ll work. You’ll get a subscription agreement where you are answering questions for the general partner which will let them know that you’re qualified to invest with them. That’s kind of the package that you’ll normally see and you’ll get that, if it all looks good then you fill out the subscription agreement and you send that back in and then you’re along for the ride. Adam Hooper – Perfect, so one of the next questions which I think lays into that kind of flow of defining strategy, where in the capital stack gets the product mix question, the question was for those starting off with no experience, which is better suited, commercial or residential investing and why? That would be something that you would kind of identify as maybe the third step, right. Overall strategy, how much do I want of my investible money do I want to put into real estate? Do I want that to be an equity piece or on the debt side of the capital stack? Then looking at product mix across you know residential, multi-family, office, retail, industrial, mixed use. Maybe talk a little bit about product mix for people just getting into this, maybe how to look at some different product mixes, maybe even geography, as they’re looking at this as a new asset class to get involved in. Tyler Stewart – or just West Coast or just East Coast, sometimes just the South East. There’s some other sort of specialties in there, but generally groups like us they’ll tend to kind of focus on a moderately broad geography, but something that they can really kind of get their hands around and if they self manage, we self manage, we try to be within a two-hour plane flight of, more or less, of all of our properties. You can really have focus on the opportunities and focus on the real estate you own. Paul Kaseburg – You just want to find groups that really know the geographies they’re in. The main, we call them the main food groups of commercial real estate are going to be multi family, office, retail, self storage and hotel. Then there are some other kind of sub categories within those, for instance, medical office or assisted living, you know multi family. Ideally, you can spread out your investment across a couple of those, it’s fairly easy to spread out your investment if you go through a fund. If you want to invest as a syndicate investor then you just need to make sure that you are budgeting correctly in terms of I have X dollars to invest per deal, it’s going to take me 15 deals to get the allocation that I want, and you know kind of do that math in advance so that you don’t end up two deals in and fully allocated. Adam Hooper – For someone that, you know this is their first time looking at this industry and this asset class, anything that you can talk about that would help them understand how much they should look at one of those asset classes versus another, again allocation between retail, office, industrial, multi family, storage, hospitality? Is that just something you kind of pick with a gut feel or is there any kind of methodology that you would recommend or like to look at you know a lens to kind of view across those different product types how to start coming up with that allocation model? Paul Kaseburg – That is a great question that I’m probably too biased to answer, because we only buy multi-family. But I think that across the main food groups, which most people would consider apartments, office, retail, industrial, definitely the main food groups. Most funds will go out and have the fairly even allocation to all of those. Most groups right now probably have a little bit more allocation to multi family, just because it’s considered a little bit lower risk asset class. Paul Kaseburg – With retail or office or industrial you can have situations where the tide can really turn with your asset a lot faster. Let’s say you loose a major tenant, an anchor tenant in your retail property, that can have a really significant impact on the entire property, that one loss. The amount of time it takes to release that space and so there’s a lot more volatility with those and there’s a lot more risk because you can a home run or you can have a strike out. And with multi family you’re a little less likely to do that because you have for instance, you’re investing in a 400-unit property, no one resident’s decision to leave or stay is going to kind of make or break you. Paul Kaseburg – Obviously to the extent that the economy does well, does badly or some new development near by, you know that’ll impact the property, but you don’t get those big binary risks that you get with other asset types. That’s one of the reasons we like multi family, that’s one of the reasons why some more diversified groups tend to look at multi family as their defensive play within the portfolio and what we hear from our partners who invest in all product types is they look to multi family to be the conservative base, and they’re expecting the lowest returns out of multi family. Their requirements for instance an office deal would be significantly higher for them to do that in the same fund and that’s where they’re trying to create their upside, they’re taking a little bit more risk on those types of transactions. Obviously you can’t really separate the capital stack from that if it’s a high-leverage family deal versus a lower leverage office deal, you know you need to take that into account to. There are a lot of factors. Tyler Stewart – Good and then for investors who are starting off with no experience what are some good ways they can learn more about real estate? Paul Kaseburg – Well I’d be remiss if I didn’t recommend that they read my book, which is Investing in Real Estate Private Equity. Adam Hooper – We’ll put a link in the show notes to the book. Paul Kaseburg – Excellent, get off on Amazon and find that. Adam Hooper – I’m happy to plug it, it’s a great book. Paul Kaseburg – Thank you, so definitely do that, I think it’s important to… real estate’s really complex and so I think it’s important to spend some time, number one, the first thing you should be doing is talking to your financial advisor and making sure that you are thinking through your real estate investment in the context of the rest of your portfolio and then it’s also important to talk to other people who are actively investing in real estate and just be part of the community. There are a lot of communities online where folks compare notes. You know spend a lot of time reviewing deals even if you’re not going to invest in them. It’s easy enough as you know to go online and find offerings and just read a lot of them and get a sense for how they work. And what the investment strategies are and what are the sponsors like. I think that’s really, just getting some reps under your belt is the best way to really get familiar with the business. Adam Hooper – And listen to the RealCrowd Podcast. Paul Kaseburg – Great idea. Adam Hooper – Paul, you mentioned leverage in there too and one of the next questions was, how do you decide, this question was how do you decide when to pay everything off versus stay leveraged and invest the difference elsewhere? Maybe more generally, why don’t you walk us through asset-level leverage, maybe leverage across a fund, leverage across your entire portfolio and maybe a framework that people can start thinking about leverage as it pertains to this asset class. Paul Kaseburg – to go target your real estate investment. There’s that sort of personal leverage strategy which I think is really important for investors. Then from a real estate perspective the leverage that you use, there’s a couple of ways that it can create risk. Obviously the more leverage you have is the deal goes well, you’re going to do that much better which I think everyone understands right. So we focus a lot more on the down side which is if you have a higher loan-to-value, the risk there is when you sell the property, if values are down then obviously you are not covering your debt, you aren’t able to repay it and you loose everything. The loan-to-value is a risk, the cash flow, ability to repay or pay the mortgage during your hold period is something to take into account. If the mortgage is interest only then you’re going to have more coverage to be able to pay that mortgage from your existing operations. If it switches from interest only to amortizing during that hold period then all of a sudden you’re going to need to come up with more money from operations or the investors are going to have to give up more money to operations to cover that and so there’s a source of risk there. The term is really important. If you have a three-year mortgage and that’s coming due in a couple years and the business plan hasn’t unfolded as expected that this is going to be a different risk profile than a 10-year mortgage where you have a lot of time for the economy to go up, go down, and hopefully average out to a decent return over the long term. Paul Kaseburg – We internally at MG we tend to use 10-year, fixed-rate, full-term, interest-only loans and we do that because we feel like that is the best way to both support cash flow, cash and cash returns but also to minimize risk in that hold period and minimize risk on the back end. We’ve been I’d say fairly conservative in comparison to a lot of investors about debt and I feel like we’ve had a great run in this cycle. We don’t know when the next downturn’s going to come, it will inevitably come at some point. It’s just important to make sure that you’ve set up your overall leverage to be ready for it. Adam Hooper – And you mentioned in there, kind of the personal leverage and the personal situation potentially impacting adversely your real estate holdings. Another one of the followup questions is what is the most common cautionary tale to physicians starting to invest. Generally, as a high-income earner, what are some of those cautionary tales for people just getting into this asset class to be aware of that you know might not be things that they would just think off the top of their head? Paul Kaseburg – That’s a good question. The most important thing to take into account is the quality of the group that you’re investing with. Some of that is strategy to really pick a good sponsor because if the sponsor isn’t good at what they do or they don’t treat their investors well it just doesn’t matter what their real estate investment strategy is, it just tends not to turn out well, especially when there’s not a tailwind you know economically speaking. So I think that’s really important. RealCrowd – I think you know from a cautionary tale perspective I think projections are not guarantees. Paul Kaseburg – that tends not to result in the best long-term returns. With real estate you really can’t sell so that is a double-edged sword, that can be good or bad for you. But you want to think up front about your risk tolerance and just make sure you’re getting in to the right type of investment deals for yourself. Adam Hooper – Good, one follow-up to that and we did a whole episode on this one, was how does one assess a sponsor’s financial health? We’ll put a link in the show notes to that podcast. But similar to what we were just talking about another question is what about liability? My primary concern with real estate is putting my family at risk for liability, especially when they find out the landlord is a doctor? So when you’re investing, in our case and with her case as well, as a kind of limited partner in these deals, what is the investor’s exposure or liability versus where they might buy their own property outright as a sole purchaser of that asset? Paul Kaseburg – Yeah, that’s an important concern to take into account. If you’re buying an asset yourself depending on how you buy it and how you’re managing it you could be taking on some significant liability. If you’re investing as a limited partner, generally speaking you are, your risk is limited to the investment that you put into that deal. I’m not an attorney, you should definitely consult your attorney before making that investment, but that is one of the main reasons why many investors like investing as limited partners in these partnerships because they’re relying on the general partner to take on the liability for that transaction and they are just making a passive investment that they don’t have to worry about a drawback of liability beyond the money they already put in the deal. Adam Hooper – Now one of the episodes we’re going to be doing here, fairly soon, is basically what is investor etiquette in these deals? As a limited investor, I’m curious to get your take, Paul, from a manager’s perspective what is your expectation of an investor? How should an investor behave when they’re in one of these deals? Paul Kaseburg – That’s funny, that’s something that you don’t see discussed very often. It definitely is important to be a preferred investor if you can help it. The best investors will eventually get access to deals there isn’t enough room for everyone, so make sure you’re not blacklisted. I think the most important thing from an investor perspective is just to do what you say you’re going to do. So if you say that you want to do a deal, then do a deal. And if you don’t want to do a deal, generally with GPs that’s not a problem, just say that you don’t want to do the deal. Because from a GP perspective we’re just trying to plan out the equity raise, make sure that we have the right number of people in, we don’t either over subscribe or under subscribe. That’s probably the best thing investors can do is just to be really clear about their intentions with the sponsor so that everyone can plan accordingly. And definitely ask questions to the extent to make sure that you’re comfortable with the deal. If it ends up being a lot of questions they can really add up, just kind of think about that from the other side, from the sponsor side. We have for instance about 800 private investors so even just a few questions can really turn into a lot of time to respond to. But that’s it, but really for the most part we just ask that our partners just tell us what they intend to do and then we’ll plan on that. Adam Hooper – It’s very different than what we would see, typically like in the angel investing world or startups. Or if doctors are investing in another med-tech devices or anything like that where there’s more of an expectation of a value-add from other, you know education or connections or anything like that. You know real estate LPs, as a manager there’s not much kind of expected value that they can really bring to an investment right? Or is there, are there things that they could bring to an investment that would be a value-add beyond you know the funding that they say they’re going to fund and being clear on deals that they don’t want to? Paul Kaseburg – That’s a good point. I won’t say that our limited partners don’t add value because there have been a number of situations where they have added value, one way or another. But in venture investing and angel investing it’s true, you really want to pick your investors to create some synergy between the company and those investors and that’s, I think that’s probably more important in the commercial role than it is in real estate. Adam Hooper – Okay, so lets take a minute to talk about 1031s, you mentioned the tax benefits that come with commercial real estate investing. Maybe touch on 1031s. I know they’re not entirely applicable to our space typically in crowdfunding, you can’t exchange a unit of an LLC. Maybe also we can veer into the opportunities on the conversation too, I don’t know how much you follow that but we got you know we’re recording this in late October, we just got the first round of regs from treasury on how opportunity zone investments are going to play out. Maybe we can talk about a little bit about some of those tax deferral strategies once you’re in a deal and it exits, you know what you can do with that capital going forward. Paul Kaseburg – whether they plan to exchange, whether they have a history of exchanging, you know what is the long-term plan for the company? Is it going to be around to continue this exchange? And really think through that in advance because different companies have different strategies and if you would like to exchange, but your sponsor isn’t doing that then you’re kind of out of luck when the deal sells. Paul Kaseburg – Definitely think about that in advance. Adam Hooper – That’s one thing that the opportunity zone regulation could provide, potentially an outlet for, it’s something we’ve been paying a lot of attention to and we’ll have a couple episodes out here shortly on the new regulations. But what an opportunity zone does, whereas a 1031, again like kind, real estate for real estate, opportunity zones allow for any capital gain to be deferred. There’s kind of three benefits to it. You get a deferral of that capital gain until you sell the asset or the end of 2026. You get a potential, if you hold it for five years, a 10% step up in that basis, if you hold it for seven years, an additional 5%. It’s a total of 15% step up of basis and then if you hold the asset that you invest in for more than 10 years all that appreciation is basically tax free. In situations, again caveat this, we are not tax advisors, consult your tax advisors and attorneys and accountants. But if it was a situation where they had an investment in a fund or in an asset and the sponsor didn’t want to exchange. With the opportunity zone they’d be able to take those gains out and potentially invest that into a co-offered opportunity fund now and take advantage of some of that deferral and base of step up and the exclusion of any gain, you know tax on appreciation. It could be an interesting strategy to kind of layer in with traditional 1031s that would give more flexibility to have some deferral of those gains where a 1031 might not be available. Paul Kaseburg – It’s going to be interesting to see how that opportunity zone investment world unfolds and I just came back from the ULI Fall meeting and our council had a meeting on specifically on opportunity zones. And I think my takeaways from it our that it clearly is an opportunity for situations where you don’t have that 1031 exchange. You know for me as an investor, my concern about it is the rules for opportunity zones really focus that investment on very specific geographic areas. Paul Kaseburg – And place limits on the types of investments that can occur there. So for instance you can’t really just buy an existing property and just cash flow it. It really works best for front-end development or some significant reposition. Paul Kaseburg – By really narrowing the focus to a small number of investment opportunities I’m a little concerned about the amount of capital that’s building up in comparison to the volume of investment opportunities and it just seems like it could have the potential to disrupt that market. So I think it’s interesting a lot of groups seem to be preparing for it. And I think my only caution would be to not, don’t stop focusing on whether or not the investment’s good. Adam Hooper – We’ve talked about that before on episodes with you, is don’t let the tax tail wag the dog, right. Adam Hooper – The investment still has to make fundamental sense. And then if there’s these other benefits that layer into it, make it better, that’s great but don’t let that be the sole decision making point for strategy going forward, definitely agree with that. Okay, so we’ve got one question here, maybe you can just shed some quick light on this, what’s the best way to buy property for young children if the proposed holding period is 20 or 30 years? I don’t know how much that, I mean do you see a lot of investors, I know we’ve had a few people on RealCrowd that are investing you know with the trust for their children. Do you guys do much of that, do you see much of that activity when they’re kind of investing for the next generation to set them up for asset preservation or wealth creation for the younger generations? Paul Kaseburg – on what is my cash and cash distribution on day one and more focused on is this a good piece of real estate? Does this sponsor have a track record of buying it and you know what are the other sources of risk that I should be concerned about here? So it’s just money you want to put away for the long term and as long as you don’t have a problem in the meantime you’ll have that after-tax benefit of just long-term compounding. That’s a different strategy than if you’re saying I just want to build like a real estate allocation, I’m okay paying taxes and I want this money back in five years. Adam Hooper – Okay, well I think we’re getting to the last question here which I love. This is someone who’s gone through all of this, they’ve got their allocation, they’ve got their strategy, the question is if you’re already investing in real estate and doing well, how do you decide when to stop? What are the future headaches of having too much in real estate versus other investments? Is there such a thing, how much is too much? Paul Kaseburg – Well, this investor I think is in a good place and I hope everyone has this challenge in their life, it’s a good problem to have. There’s no, this is another situation where there’s no one right answer for everyone, it’s really important to talk to your financial advisors and it depends on the rest of your life situation, right. It’s not just about this real estate allocation, it’s about everything else that’s in your portfolio. It’s about how much money you expect to spend every year, it’s about are you passing your real estate on to the next generation at a stepped up basis? So no one has to pay those taxes, right, so I think there are a lot of complex factors that are interrelated that you really need to think through. You know but I think the things to consider are number one, is diversification. You know how concentrated are you in real estate and if there is a downturn what’s that going to mean for your portfolio overall? And are you going to tolerate that? It could be that for investors who have been very successful they may be willing to tolerate a much higher allocation to real estate just because they can handle the downside. You know they will still have enough money even if the real estate market weakens significantly for other investors, you know it’ll be important to just be well diversified throughout that cycle. Diversification is important, I think downside tolerance, you know we talked earlier about investing to maximize your happiness and not necessarily just your wealth. Paul Kaseburg – It’s important to know your own personality and what you can handle on the downside. Your liquidity is really important so you want to make sure that if your real estate portfolio doesn’t do well for a period of time that you have enough money to live on. So I think those are all kind of important. This is a complicated question and there’s no right answer for everyone. It’s all about knowing yourself. Adam Hooper – Very good, well that’s the end of the questions, Paul. You made it through. We did a good job getting the questions. Adam Hooper – Yeah, I know we talked a little bit at the beginning kind of what you’re looking forward to in 2019, you know as we often do we like to take a look back at the risk perspective of things. Are there any indicators or metrics or things that you’re keeping an eye on as we get to round out 2018 and head into 2019, that might indicate some shifts up coming? Is there anything, kind of caution flags that you guys are looking out for in general market or specific markets that you guys are operating in? Paul Kaseburg – Probably the thing that we keep the closest eye on is just fundamentals. In our space it’s rents, vacancy, new development, we’re keeping a real close eye on all of that and what we’re seeing in the economy generally is the economy is strong, there don’t appear to be any specific issues that are likely to cause near-term problems. It’s really I think the risks come more from what we don’t know, whether that’s something macro or whether it’s something here in our economy that’s been building up that we don’t see right now. Generally the fundamentals look really good in the apartment space. There’s definitely a decent amount to buy, for apartments it has been absorbed really well because the economy’s been so strong and household formation’s been so strong. We’re keeping a close eye on it. I don’t think there’s anything that we’re really afraid of right now but that being said, like we talked about earlier, there’s going to be a downturn at some point. So like always we work increasingly, the farther we get into this economic cycle the more we focus on what we do which is long-term investing, buying for 10 years, being able to hold through a cycle and just trying to leverage appropriately so we don’t have to worry about it. So I think you know those are all things we’re thinking about doing in ’19. It has been you know a long, strong real estate cycle and interest rates have been going up a bit. There is some development pipeline, but nothing that is a critical issue at the moment. Adam Hooper – Perfect, well I think that’s a pretty good spot to wrap it up, Paul. We plugged the book, we’ll put a link in the show notes to that as well. We’ll probably link the prior episodes that we’ve done here where we cover a lot of this information, sponsor diligence, you know kind of portfolio construction and looking at deals. We’ll put links in the show notes to all those prior episodes that you’ve been so kind to share with us as well. And we thank you here for another great conversation today. Paul Kaseburg – Great, well thanks for having me. It’s been fun. Adam Hooper – Perfect, well as always listeners, we appreciate any feedback or comments that you can send to us. You know ratings on iTunes or SoundCloud, wherever you listen is great. And send us an email to podcast@realcrowd.com with any feedback and with that we’ll catch you in the next one. Tyler Stewart – Hey listeners, if you enjoyed this episode, be sure to enroll in our free, six-week course on the fundamentals of commercial real estate investing. Head to realcrowduniversity.com to enroll for free today. In RealCrowd University real estate experts will teach you the important fundamentals like, the start with risk approach, how to evaluate real estate sponsors, what to look for in the legal documents and much more. Head to realcrowduniversity.com to enroll for free today. Hope to see you there. RealCrowd – This podcast is brought to you by RealCrowd, the leader in online real estate investing. Visit realcrowd.com to learn more about how we provide our members with direct access to commercial real estate investments. Don’t forget to subscribe to the podcast on iTunes, GoogleMusic or SoundCloud. RealCrowd, invest smarter.